Every one thousand years, one hundred mamodo descend upon Earth to conduct the ultimate battle and the winning mamodo is crowned king of the mamodo world. There is only one catch—the many mamodo need a human partner. Kiyo is a brilliant but aloof 14-year-old. Kiyo’s archeologist father finds a mamodo child named Zatch unconscious in a forest in England. He sends the goodhearted and mysterious Zatch to be his son’s mentor. 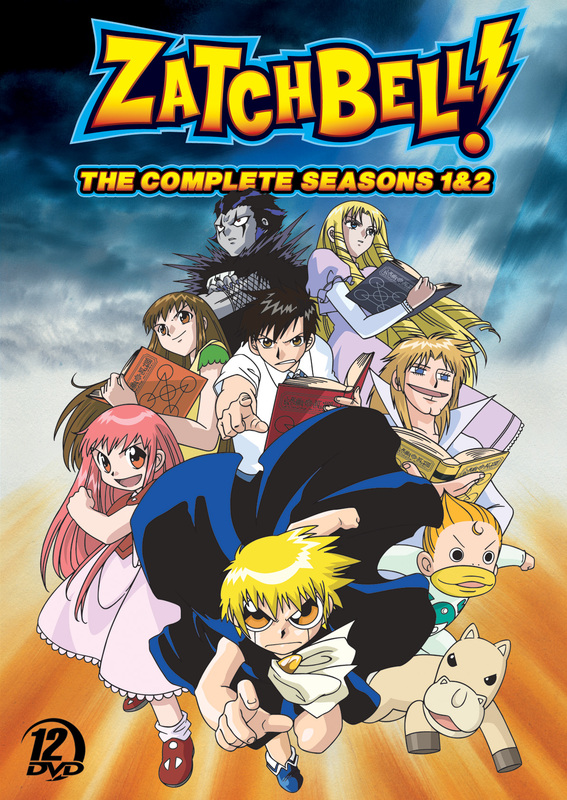 Zatch has amnesia and doesn’t realize he is a powerful mamodo—it is up to Kiyo and Zatch to discover this together! In the meantime, the unsuspecting Zatch and Kiyo must defend themselves against the relentless ambush of mamodo-king wannabes. Unbeknownst to their enemies, Zatch and Kiyo have formed a special bond, which enables them to unleash Zatch’s incredible powers. DVD Run Time: 36 hrs., 40 mins.